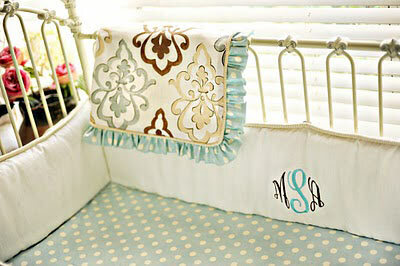 We are excited to introduce new crib bedding sets! 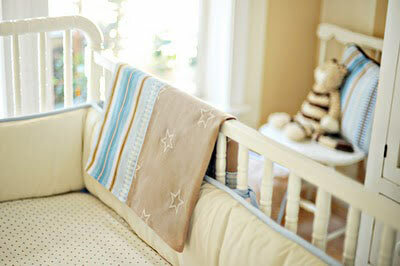 Our Starlight in Blue Crib Set is made of blue and khaki fabrics, and features an embroidered star crib bumper. 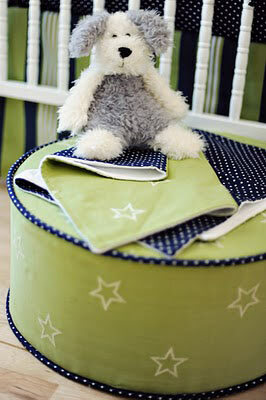 Our Boy Oh Boy crib set is fun and colorful in bright green in navy. 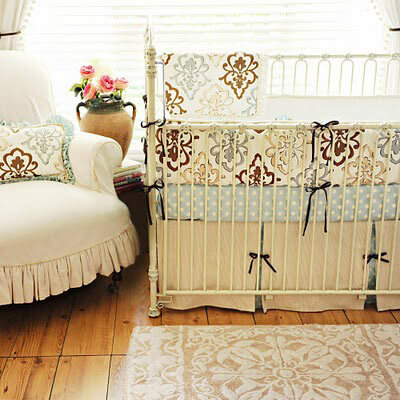 This soft blue and khaki baby girl crib bedding collection features a damask pattern and a linen crib skirt with peek-a-boo panels.